Relax and unwind on the beautiful Loophead Peninsula. Our Guesthouse is right on the beach and our spacious guest lounge provides panoramic views of the Wild Atlantic Ocean. Part of Kilkee life is to spend some time sitting on the Strand Line wall; Percy French is reputed to have got his inspiration for ‘The Darling Girl from Clare’ while indulging in this Kilkee custom. The Strand Line wall also provides grand-stand viewing during those widely renowned race meetings: ‘The Kilkee Strand Races’. 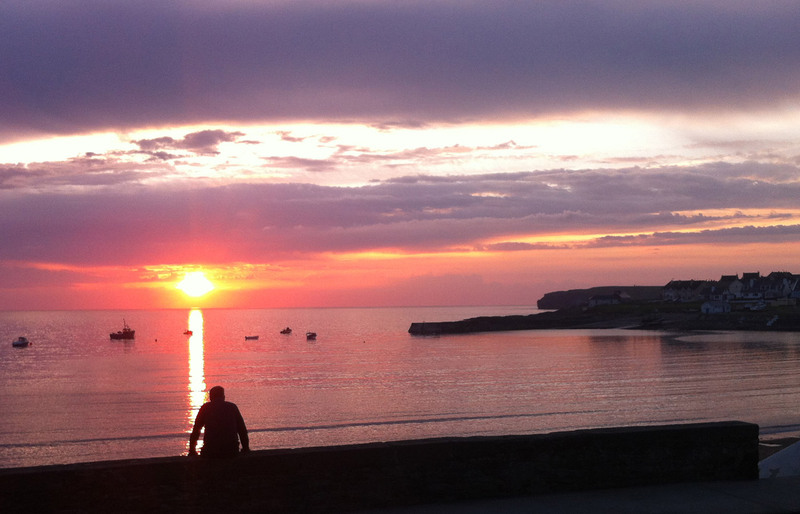 Part of Kilkee life is to spend some time sitting on the Strand Line wall; Percy French is reputed to have got his inspiration for 'The Darling Girl from Clare' while indulging in this Kilkee custom. The Strand Line wall also provides grand-stand viewing during those widely renowned race meetings: 'The Kilkee Strand Races'.